It is such a simple story that you cannot help but listen in rapt admiration. Tork Motorcycles' story, that is. It began with a bright-eyed, bushy-tailed plan to make a cheap electric car, a Rs 1-lakh car, even. But the plan quickly changed to motorcycles because, well, they loved motorcycles and decided not to build something they themselves wouldn't ride. It has been quite a journey too. Along the way, Tork went racing and it won many races, including at the Isle of Man TT. It is credentials like this that ensure you realise that despite his apparent youth (and the similarly young R&D staffers), Kapil Shelke, the boss, has his feet firmly on the ground. 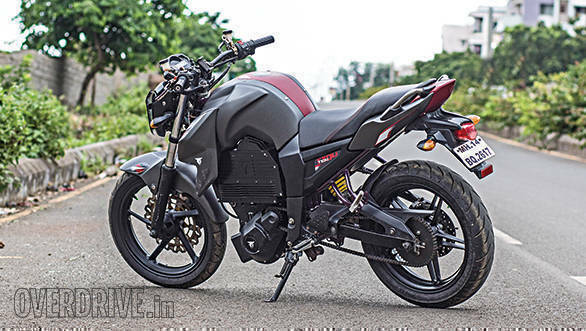 And despite the fancy, and very fetching matte paint job, so does the Yamaha FZ that's been heavily modded to become T4X, Tork's fourth prototype. It's been spiffy-ed up quite a bit because, well, the spotlight is on Tork which is expected to reveal its production-ready T6X motorcycle later this year. Under the skin, the scrapes and scratches show you clearly that it's far from a display piece. 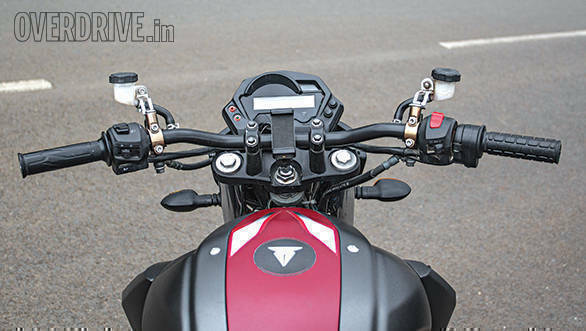 The Yamaha FZ-based frame hosts a gigantic, finned black mass that is primarily the battery with the distinctively round shape of the motor showing underneath. Also in the black box is the electronics, or the Battery Management System. The BMS, in fact, is the heart of the matter, and tuning an electric motor to produce the progressive torque feel of an internal combustion engine is a major challenge. The reason, of course, is that electric motors don't have progressive torque. They make the same (peak) torque constantly and that can be a radically different riding experience without clever BMS tuning. To wit, the T4X feels frighteningly quick off the line. It is a prototype in the sense that the driveline can feel sloppy and loose now and then. But the performance is unmistakable. Open the throttle, even gently, and with the distinctive whooshing whine of an electric motor, the motorcycle surges strongly forward. In fact, I found myself working the throttle backwards compared to a normal motorcycle. Where I would usually roll on more and more gas to increase acceleration, the T4X seemed to feel more controllable if I rolled on the gas hard and then gently closed the throttle partially to modulate power delivery. Shelke explains that the T4X BMS is an older unit and the newer units are more natural in riding feel. The point though is that the T4X as a package feels very quick and hits over 80kmph easily with more speed still to come. There are quirks, naturally. The missing gear lever is one - the T4X is an effective automatic where the BMS handles the task of speed control via throttle and electronics alone. 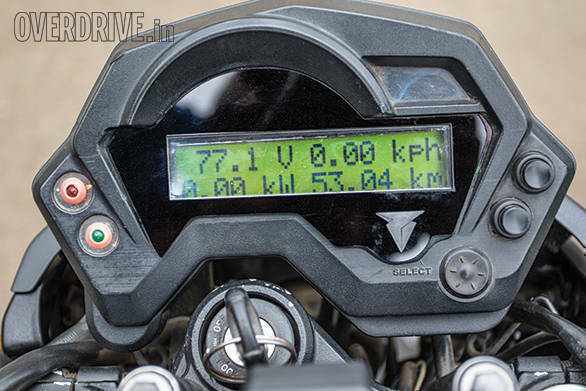 The little read-out shows among other things, the battery voltage so that riders can see the state of the charge. The production T6X will have a friendlier display with a touchscreen and far greater functionality. But as impressive as the T4X is, Shelke points out that his work is far from done. The T6X has to offer more range as well as more performance, and Tork doesn't have the luxury of waiting for battery technology - steadily improving - to help them meet their performance and range goals. Tork is working hard at making both more sophisticated BMS units as well as its own chassis designs. While the early prototypes relied on modified production motorcycle chassis, Tork needs its own bespoke chassis work. This is because weight and packaging of an electric motorcycle is radically different from a normal two-wheeler, and eventually modifying an existing platform leads to a bottleneck. We already know that chassis and suspension design is a bit of a black art, and Tork is working hard to crack it. 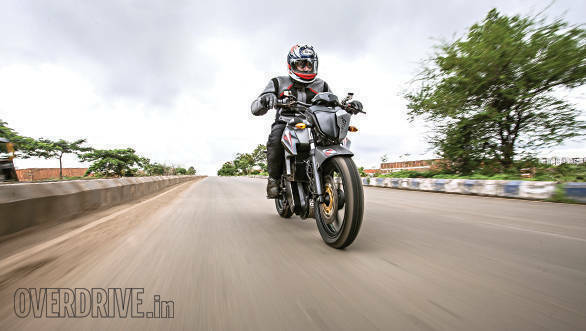 Shelke says they have OEM R&D staffers, many of them retired engineers, who help out with projects, and the T6X is expected to rival a 125cc motorcycle in performance with a 100km range and a 95kmph top speed. The insane thing is that in approach and riding, the finished T6X will be as simple to ride as the story of Tork Motorcycles. 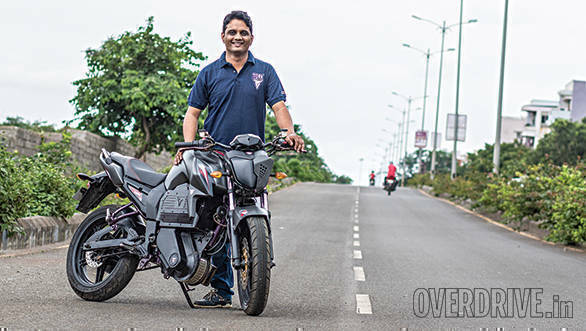 But as Kapil has already demonstrated in racing, the Pune-based start-up has already shown its ability to set lofty goals and meet them.